My friend Nalan gave us a box of pears for the holidays and I was trying to figure out how to eat them. 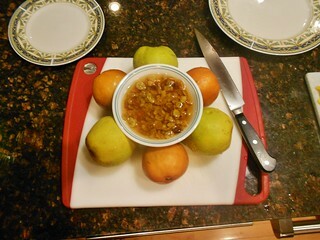 I came up with a delightful dish, sure to hit our sweet spots while highlighting the sumptuous texture of the pears. Thanks, Nalan, for your thoughtful gift! How did I cook the dish, and what is it? 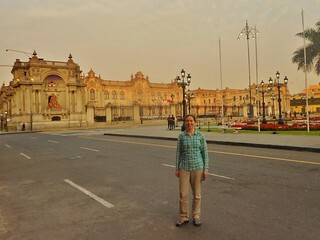 On our last day in country, we flew from Cusco to Lima and then walked around Lima. 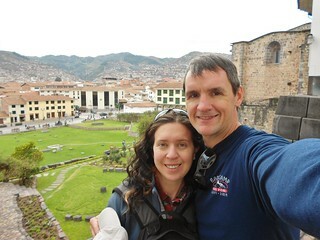 After spending the afternoon and evening in Lima, we had a late night flight back to Denver. 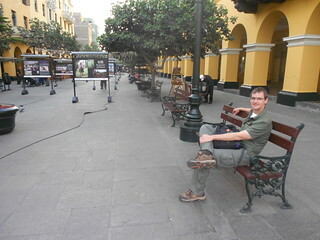 Since we had the walking tour of Lima at the start of our trip, it was even more fun to walk around and explore. 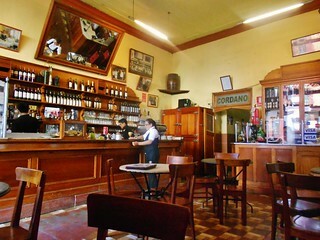 We managed to find Bar Cordano, where Ernest Hemingway used to go and sampled the local favorites. 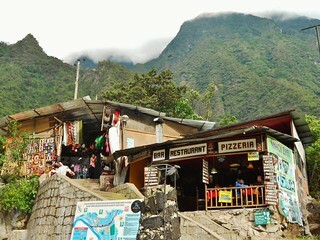 Aguas Calientes Craft Market – Fun place to shop! 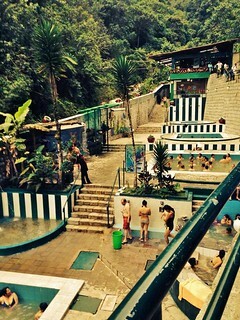 Aguas Calientes – The Spa! 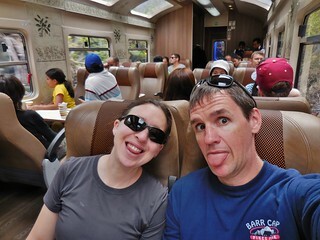 On Saturday, we took a bus to Ollyantaytambo and then we road on the Peru Rail to Aguas Calientes. 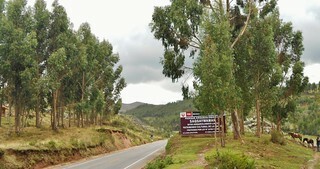 We visited the hot springs, went shopping, and had a nice relaxing evening. 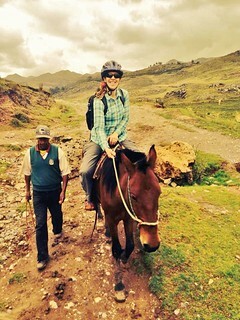 Horseback Riding Near the Saqsaywamen site. 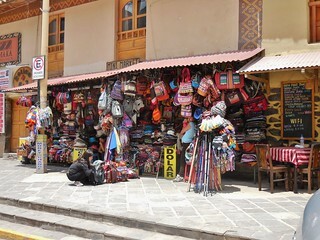 Group Picture. 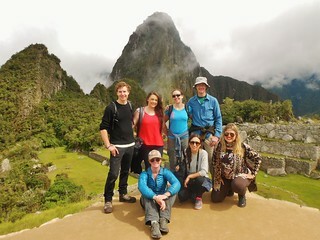 We met a Peruvian family while we were up there, so we included them in our picture. 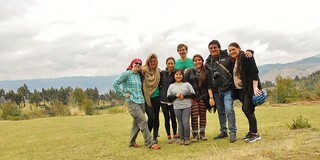 On Friday, we decided to do a half day of horseback riding and hiking, up in the foothills above Cusco. 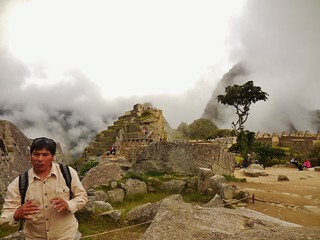 It was near the Saqsaywamen cultural site, so we got the opportunity of walking around this ancient Inca sacred place. 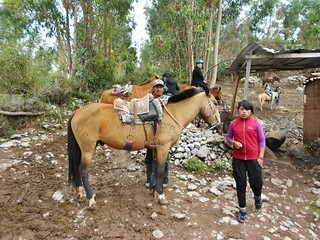 While on the horses, we had 2 horse handlers accompanying us, but they did not guide us around the ruins. 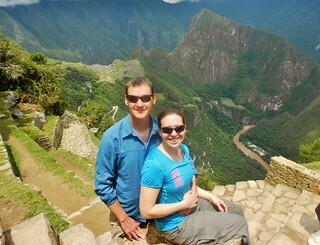 So, it was up to us to explore while on foot! You are currently browsing the climbergirl blog blog archives for December, 2014.